Allen Jones (December 29, 1940 – May 5, 1987) was an American bass-player, songwriter, engineer & producer. 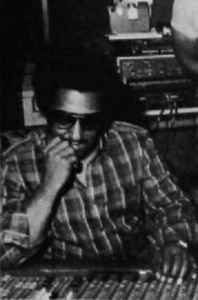 He wrote songs and produced several albums for Albert King and became manager of the Bar-Kays, he also formed their production company and produced all of their original releases. Initially a bassist, Jones had his own studio, Onyx, in Memphis and also wrote, engineered and produced at Stax - picking up a Grammy Award for his work on Isaac Hayes - Shaft. His work is also associated with Ardent Studio Memphis. Jones died in 1987 and a Memphis music institution scholarship program is dedicated to his name for attendees at LeMoyne-Owen College. Often associated to Richard Shann & Andrew Love.